Please forgive me for being MIA the last thirteen days. There's so much going on here at AJC. The first week of July I volunteered my time for our local A21 yard sale fund raiser. Are you familiar with A21 (Abolishing Injustice in the 21st Century)? If not, I invite you to learn more about how A21 is fighting human trafficking around the world. Last week Captain and I worked on a whole new design for our cottage. I know, I know -- yet another plan? Yes. And I'm anxious to show it to you. 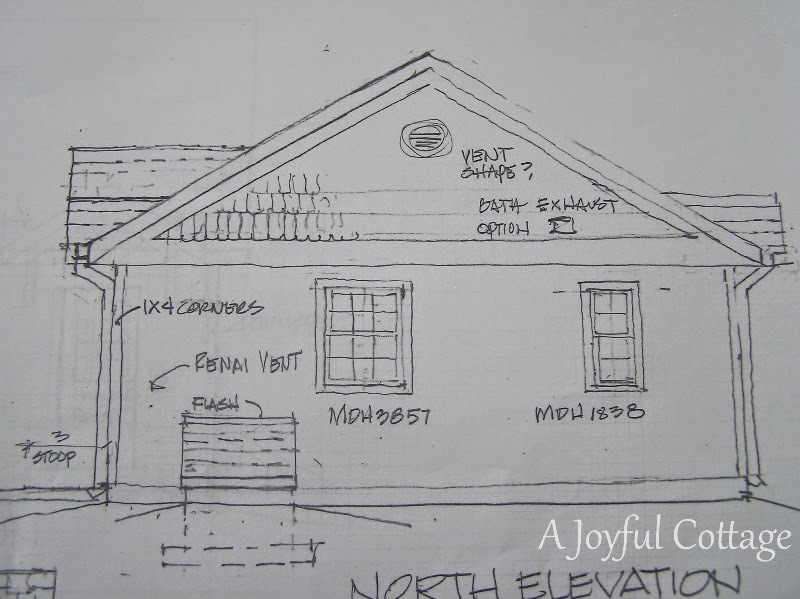 However, I first want to share Cottage 2 and 3 plans, as promised. 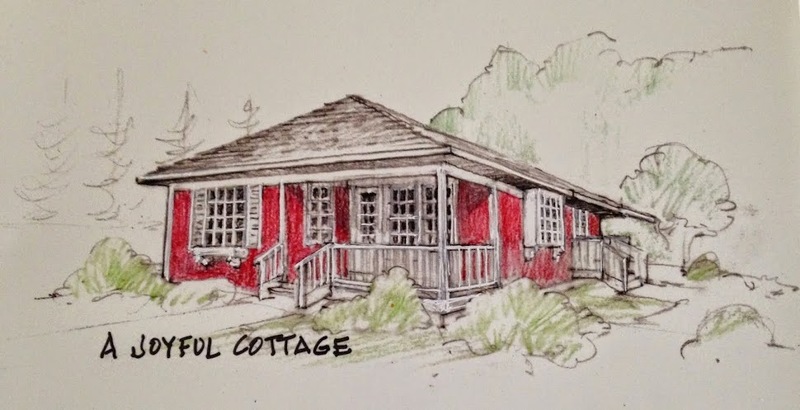 Today we'll look at Cottage #2. This is a 864 SF single level, two bedroom, one bath cottage. We retained the scalloped shingles on the gables, removed one window to the left of the door and added a window on the right. We kept the front door overhang from Cottage #1, but removed the scalloped shingle feature. The East elevation is quite changed, with a door into the kitchen and a portico on the left, and a second door with overhang on the right which enters the utility room. More scalloped shingles appear on those features. This is the back of the cottage. And the unremarkable west side. The eat-in kitchen is open to the living room, with the front door opening into a natural traffic area between the two spaces that extends to the hallway. The master bedroom suite has his and her walk-in closets. The bath is accessible from the hallway, as well, to serve as a guest bath. Bedroom 2 is my office. The utility room houses the laundry, a coat closet, and a clean-up sink for Captain. A french door closes off this area from the rest of the cottage and affords a small desk space for Captain. His studio is in a separate structure. 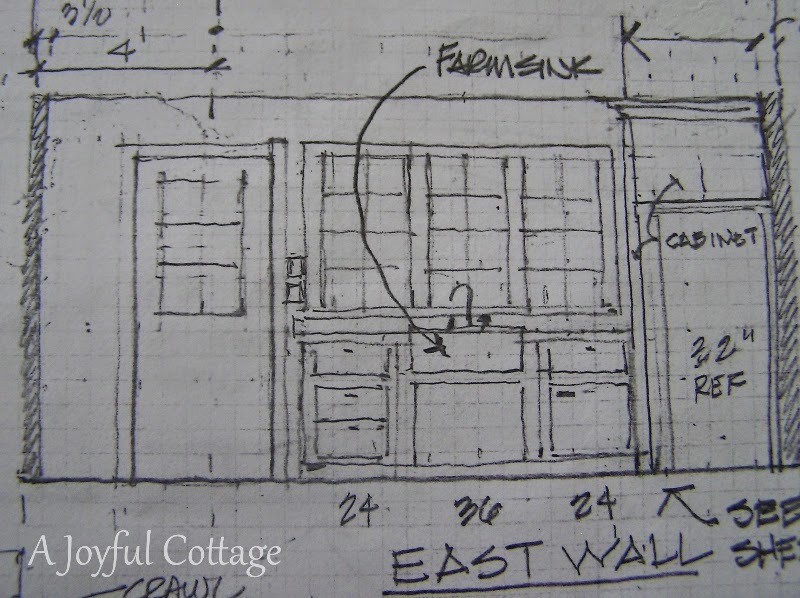 This drawing of the kitchen's east wall shows the entry door on the left and base cabinets with a farm sink to the right. Windows span the counters, allowing lots of natural light to flow into the room. No upper cabinets here. The refrigerator is built-in to the far right, with an open shelf above. This photo gives you an idea of the windows and refrigerator placement. Imagine the cabinet with a farm sink and an entry door to the left of the window where the upper cabinet and bank of drawers is. 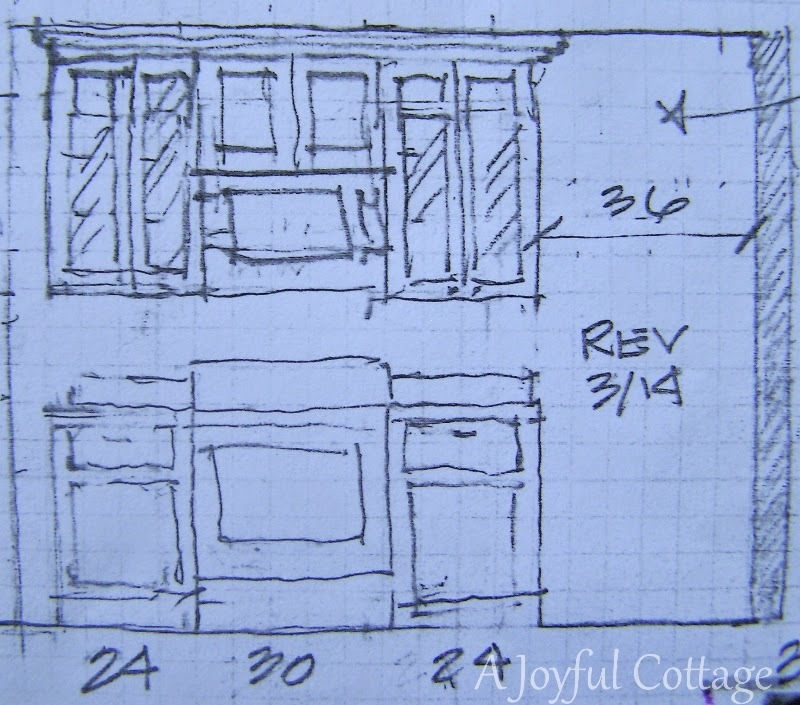 This is the same hutch from the first cottage plan. Remember this inspiration photo from Cottage #1? Across from the hutch, on the south wall, is space for a large free-standing furniture piece. To its left is an 18x52 window. In the middle of the kitchen is the dining table. 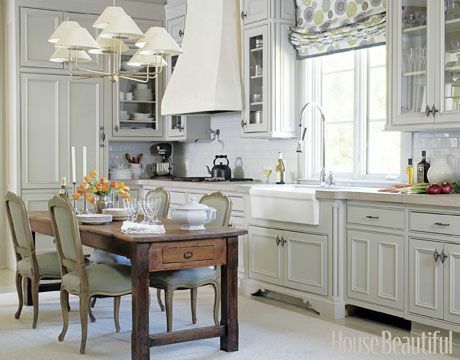 I love this look for an eat-in kitchen. Of course the kitchen in our plan is about half this size. We changed the fireplace to a gas stove with a pine mantel and stone or tile on the back and hearth. We put this plan out to the same two contractors for bids, specifying hardwood floors throughout, except for the bedrooms which were to be carpeted. Preliminary bids put this home within our reach financially. However, we put this plan on hold and decided to explore another alternative that might give us more square footage for the same or less cost. In my next post I'll share what we discovered with Cottage #3. Thanks for dropping by. 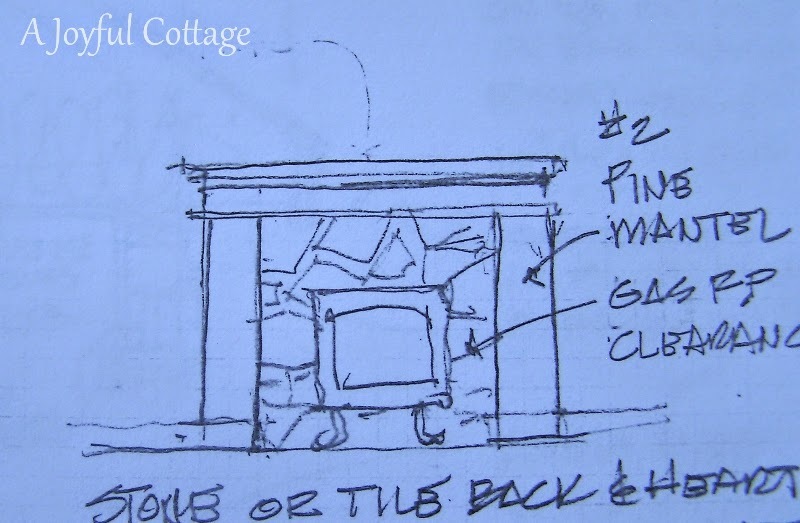 I'd love to know what you think of this cottage design. I love it!! 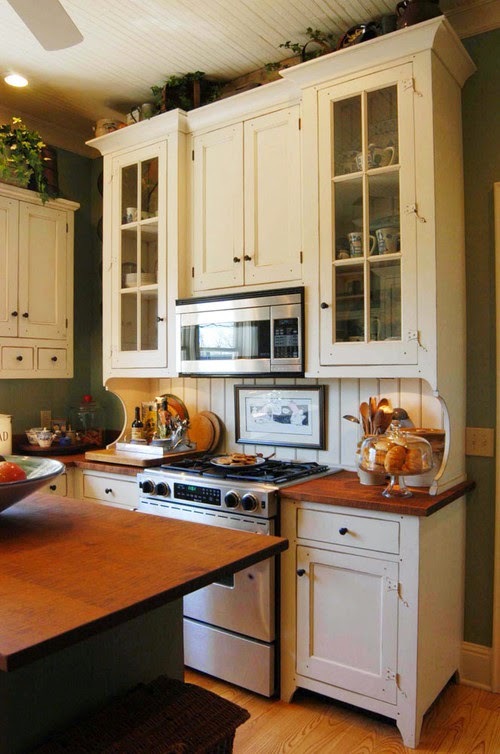 and your photos of the kitchen and hutch are darling. Check Craig's List for hutches - sometimes the perfect one falls into your lap! Windows over the kitchen sink are a must for me, Vickie. I'm open to a lot of different kitchen plans, as long as it includes windows over the sink. Thanks for stopping by. As we wait on pins and needles to hear if the conditions have been lifted for the sale of our house I hardly dare look at houses or house plans - so it's a rare treat to look at yours. I look forward to see the next version! Thanks, Kim. We're definitely taking our time through this process. I'm sure those involved in the bidding wish we'd just go away LOL. Going to be so charming . . .
Love the kitchen ideas . . . I am excited for you . . . Thanks, Lynne. 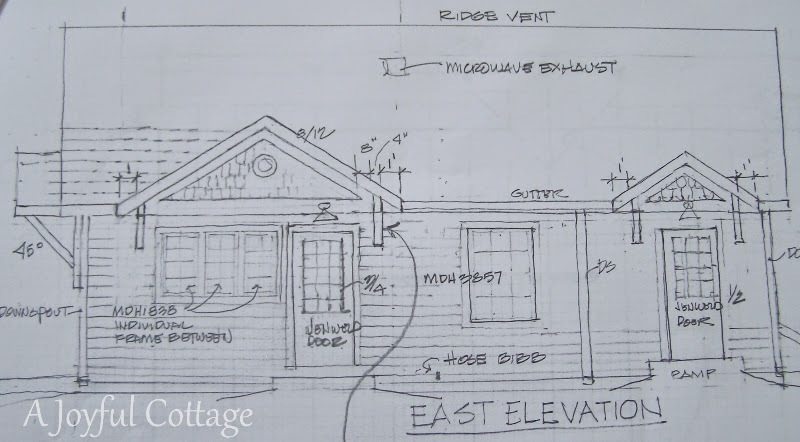 Now that we're on our fourth plan I can see that what Dennis says is true, "With each change we learn something and the house just gets better." Oh Nancy, it's going to be amazing! 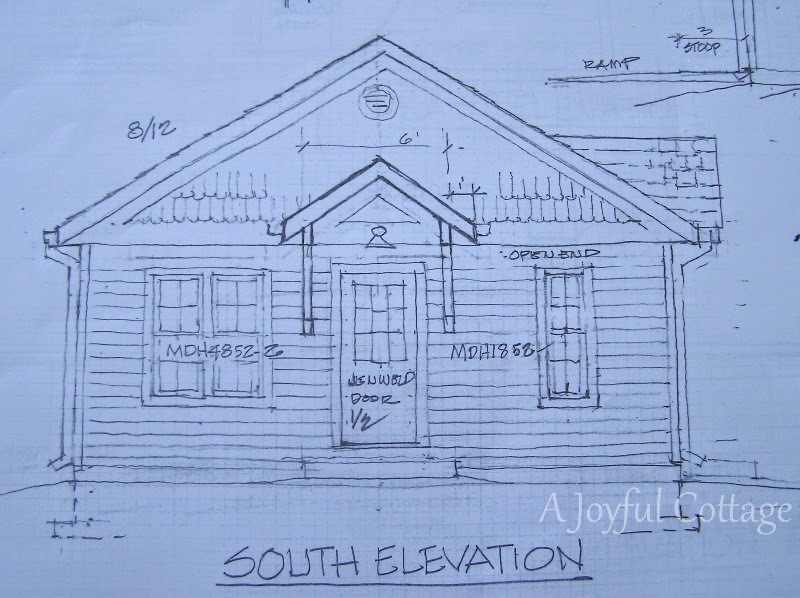 We're studying home plans as well and have no idea what's involved with getting someone to build a home that's so different from the cookie-cutter houses that most builders produce these days. Wish we had more skills & time. Your plans look lovely & I'm a cottage-lover as well. Don't give me big, give me charm. and my dream is to build an "un-fitted" kitchen. Something that looks like it has evolved over time. No granite or stock cabinets. Charming step-back cupboards and pie safes. Oh, I love everything about this! I so love the little black stove in the fireplace surround! You will have such an amazing little cottage! It is the stuff of dreams! Please be sure and link up more with the Home Sweet Home party! I will love to see it come to life! 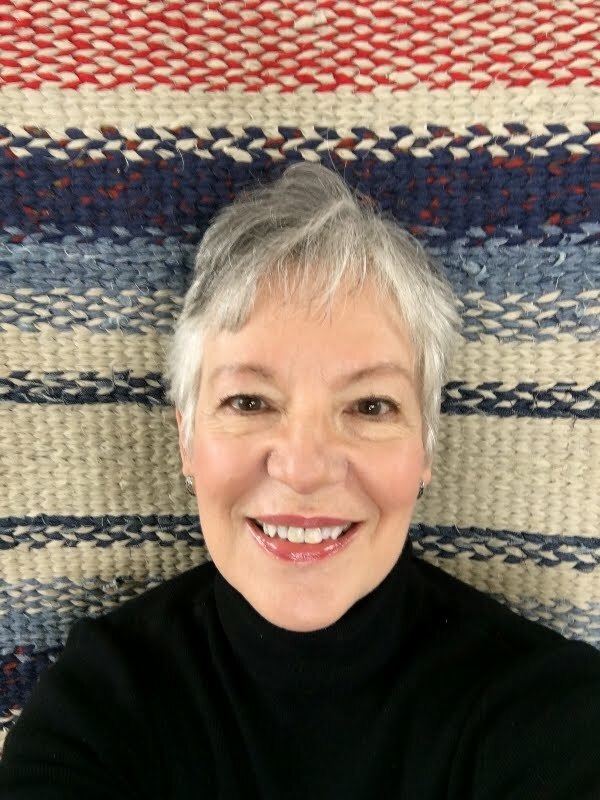 Thanks for visiting, Kathy, and for your kind comments. Have a great weekend. Yes, thank you for linking up! I told my husband if we ever won the lottery I knew just the sort of cottage I would like to build. It is very similar to yours. It is just perfect! I have been on a blog or two from England and they shared photos of their old cottages in rural England and they were very similar. I love old world cottages, Sherry. I don't know if you've noticed that I have featured a number of cottages from Wales, as well as a couple from Ireland. I never tire of viewing traditional cottages, no matter where they are. So fun Nancy! Can't wait to see your sweet cottage come together! I saw on fb the one you chose and I love it! Thanks for sharing with SYC.